If you run a small or midsize business in the Harrisburg area, Valpak of Central Pennsylvania can affordably get your brand’s message out with print and digital marketing. Get a professionally designed print piece for The Blue Envelope® in the format of your choice, including single-panel coupons and circulars. As a Google Ads-certified agency, we’ll also help you reach consumers through desktops, laptops, tablets and smartphones. Get a beautifully designed website and landing page, along with a business profile page offering your coupons on valpak.com. Valpak of Central Pennsylvania can reach up to 310,000 qualified households in Harrisburg, Hershey, Lancaster, Reading, Altoona, State College and other local cities and towns in PA. Call today and learn more about taking your business to the next level. For specific dates and coverage, contact your Valpak of Central Pennsylvania representative. 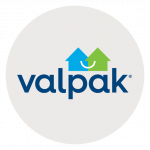 Valpak of Central Pennsylvania is an independently owned Valpak franchise.